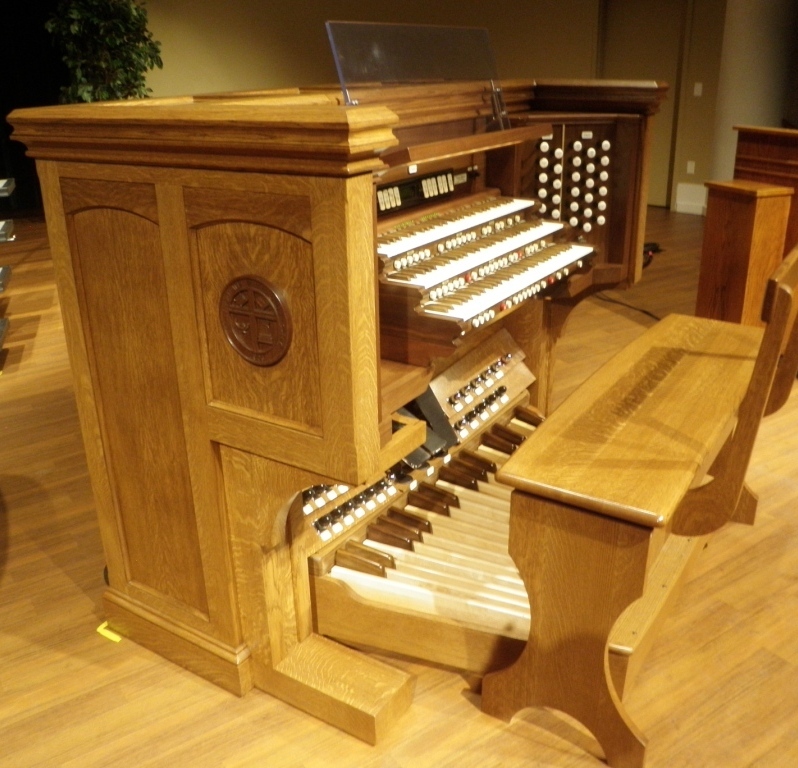 The new organ for the Newton-Hobson Chapel and Fine Arts Center at Southern Wesleyan University represents the culmination of a project several years in the making. While the Chapel was originally designed with the anticipation of housing an organ, this dream was not realized until June 2010, when a contract was signed for the design and installation of a new digital instrument. Built by Cornel Zimmer Organbuilders of Denver, NC the organ has taken more than nine months to complete and has been the collaborative effort of numerous skilled craftsmen. The organ is comprised of three manuals (keyboards), each with 61 keys, and a pedalboard with 32 keys. The manual sharps are crafted from rosewood, as are the pedal sharps. The console is constructed from quarter-sawn white oak with a walnut interior. The 50 equivalent ranks are controlled by 66 drawknobs in four divisions. The drawknobs, couplers and toe-studs are Aeolian-Skinner replicas by Harris Precision Products of Whittier, CA. 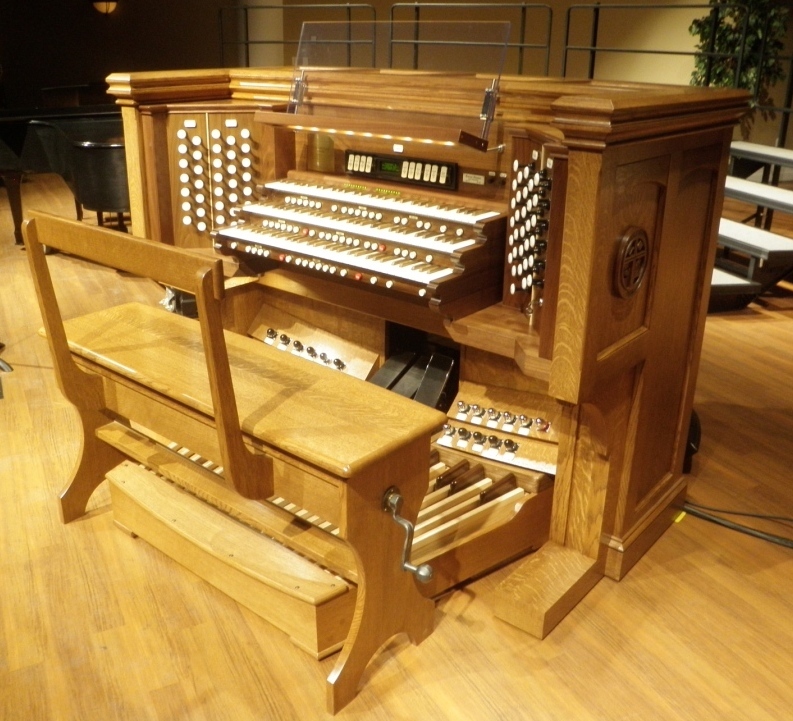 The console is equipped with 256 memory levels, allowing complete versatility for multiple organists. Record and playback functions and a piston sequencer have been included to aid in teaching and in the performance of major organ works. The extensive audio system for the organ is suspended above the stage in 12 speaker clusters. Each cluster houses three individual speaker cabinets containing three individual speakers. A total of 108 speakers provide amplification for frequencies 60 Hz and above, while four 15” subwoofers, housed below the stage, handle the lower frequencies. The switching system is prepared for the future addition of pipes to the organ. 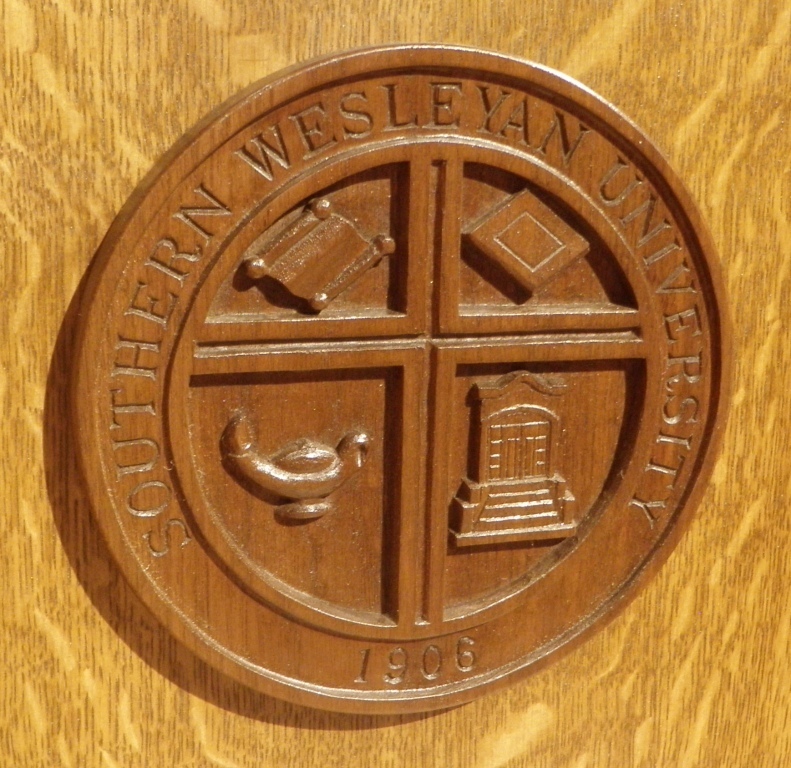 The organ for Southern Wesleyan University was designed first and foremost to lead worship and congregational singing. The organ was also carefully planned to allow the organist to accompany not only large choral, wind or string ensembles, but soloists as well. A broad tonal palette ensures that a wide range of solo literature can be performed without compromise. 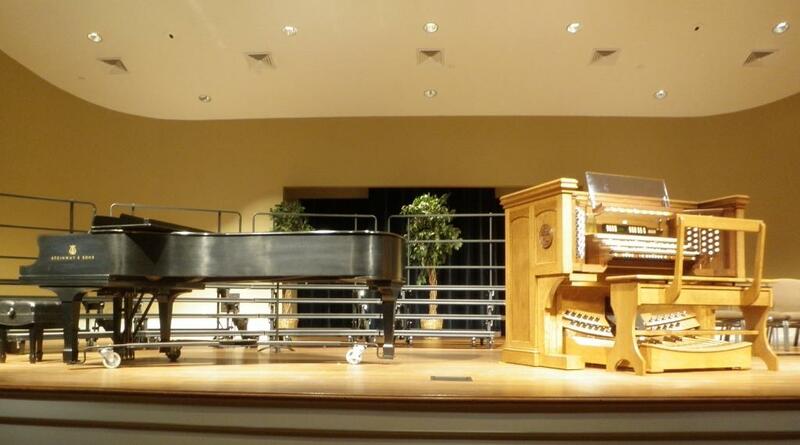 It is the hope of Cornel Zimmer Organbuilders that the new organ for Southern Wesleyan University will support a vibrant and growing music program and encourage worship, practice and performance for many generations.